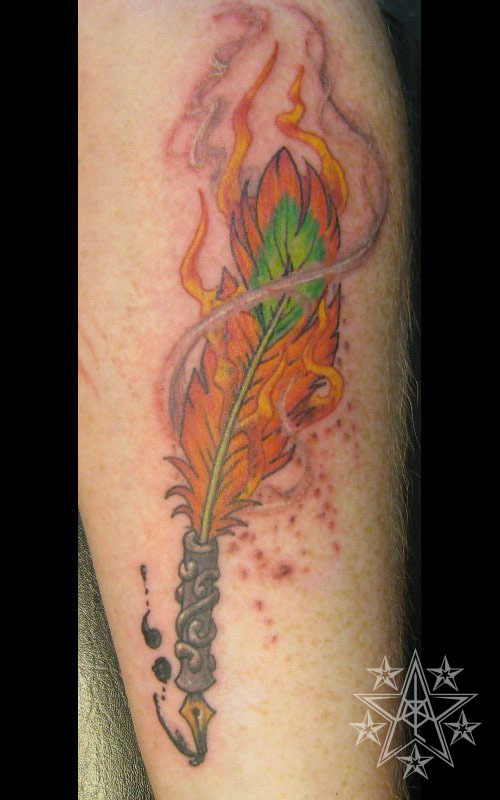 Phoenix feather semicolon Suicide awareness tattoo. 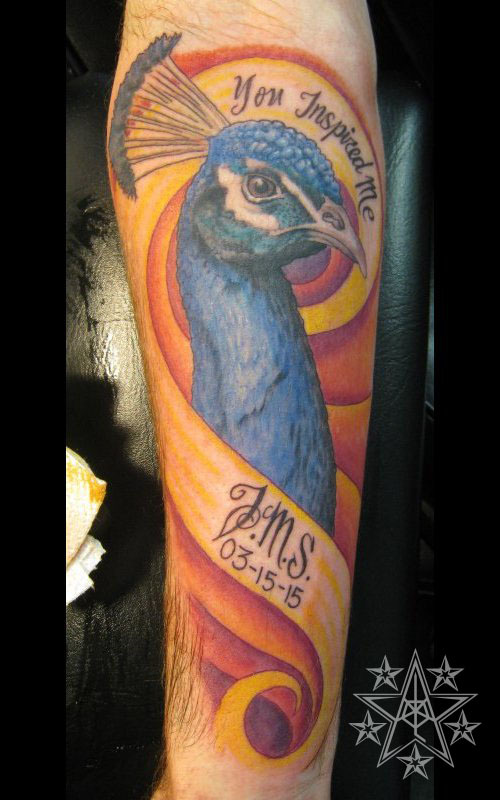 Peacock and Lettering Realistic peacock with lettering tattoo. 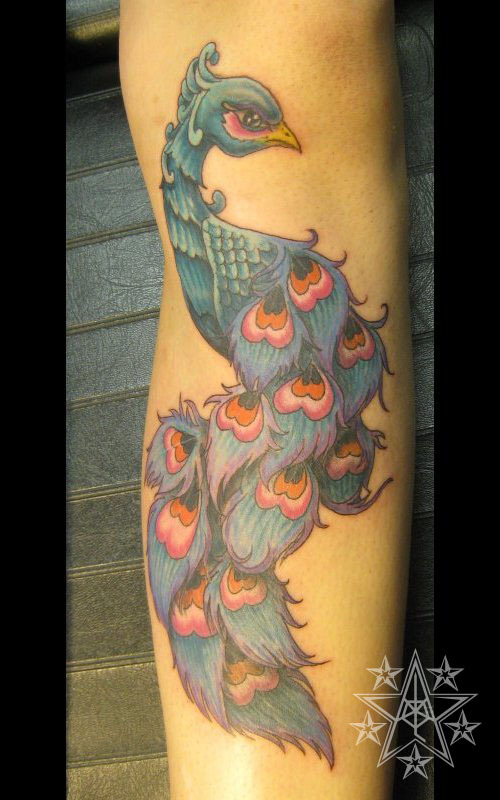 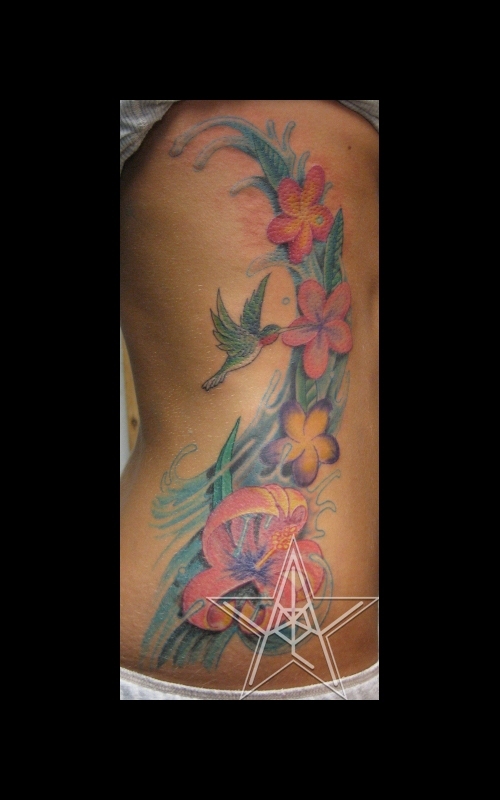 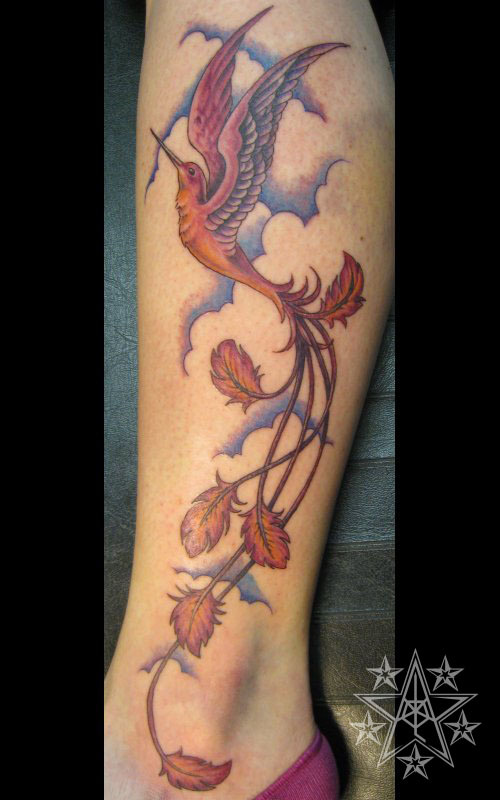 Bird of Paradise Long tailed humming bird tattoo. 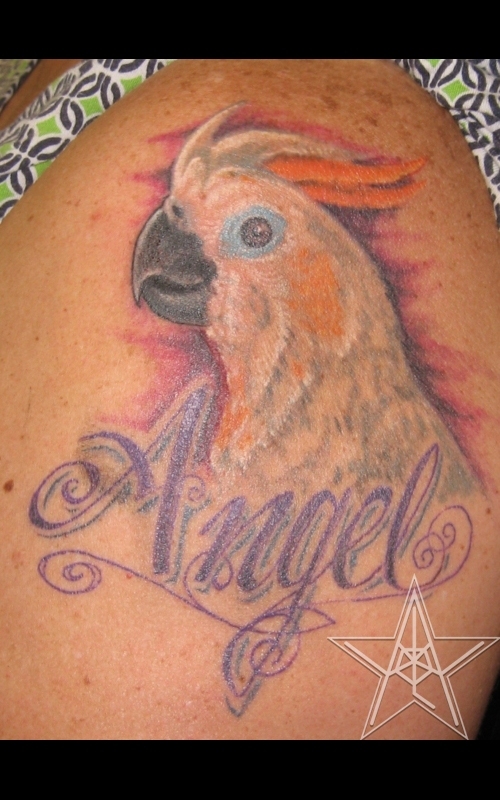 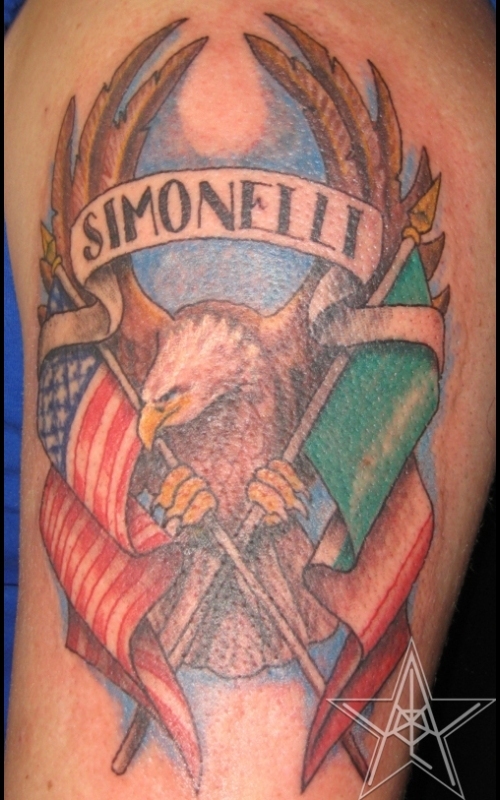 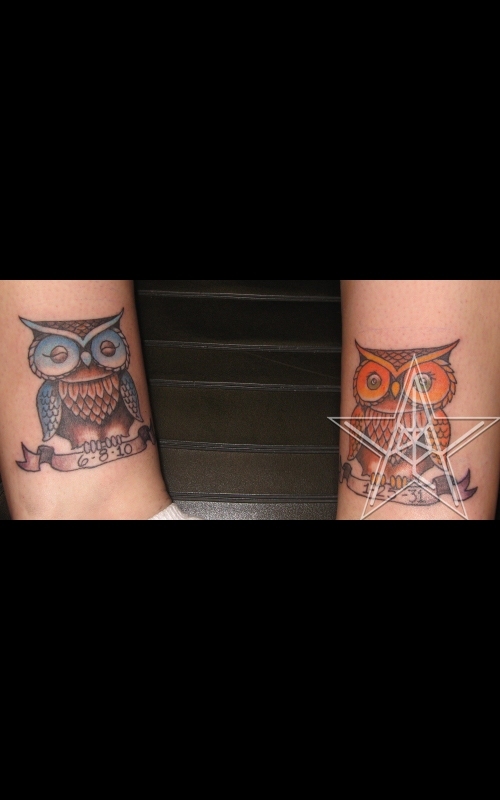 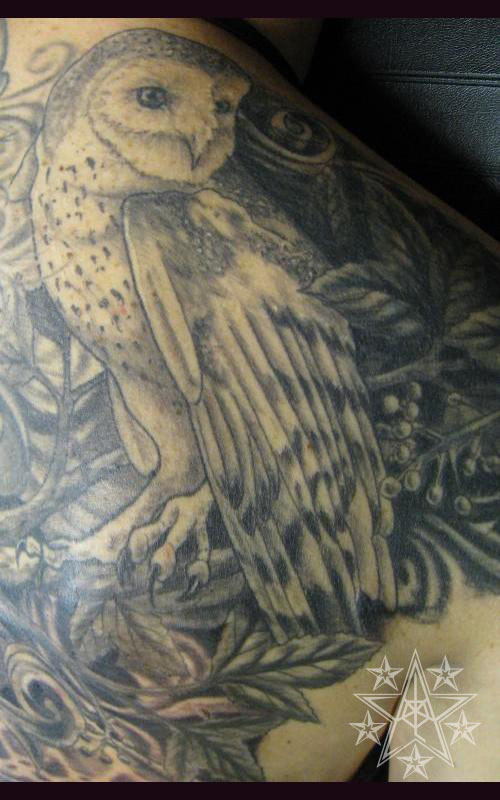 Wiser Than Most Perched barn owl tattoo. 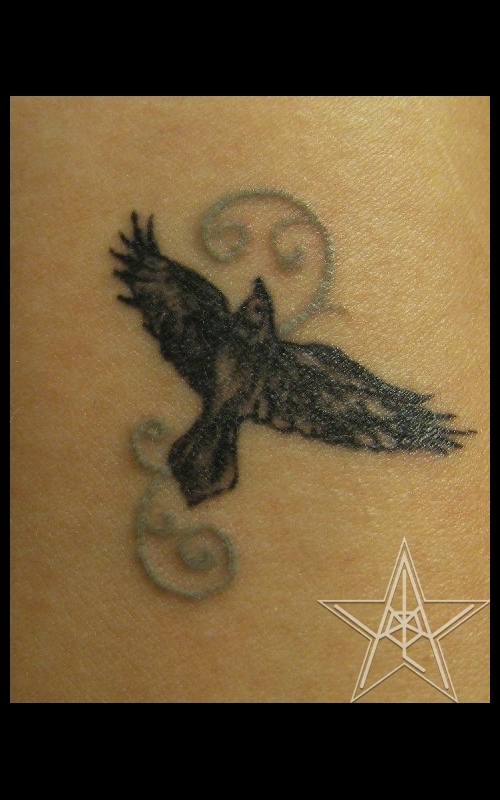 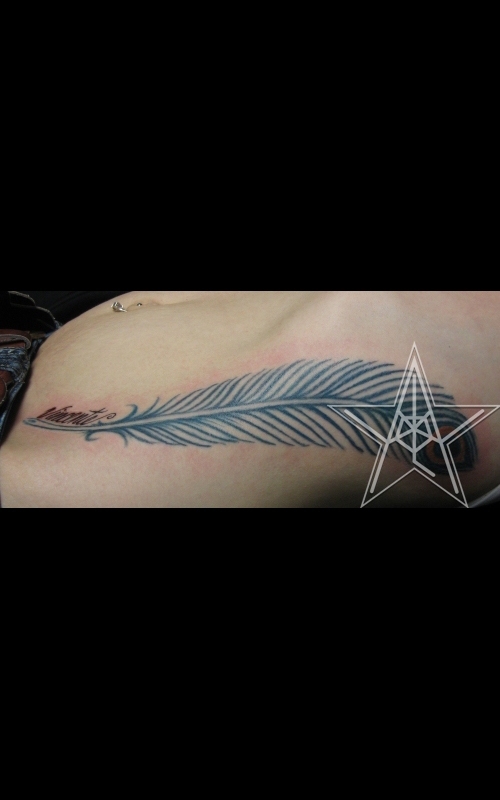 In Flight Bird flying across blade tattoo. 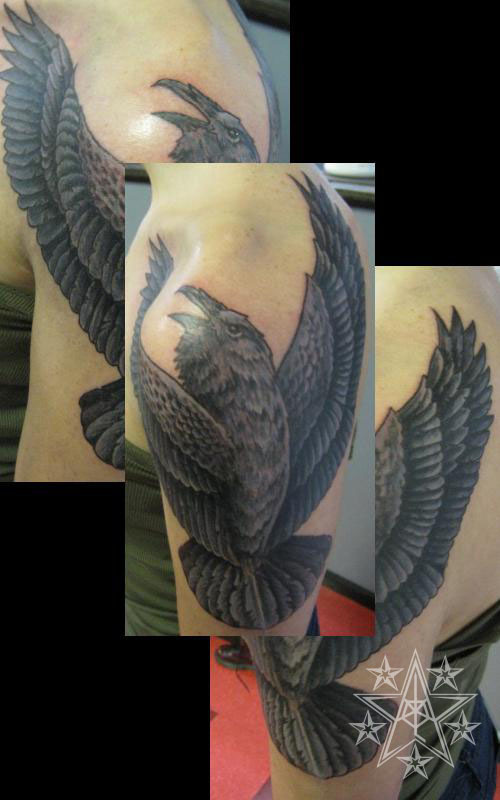 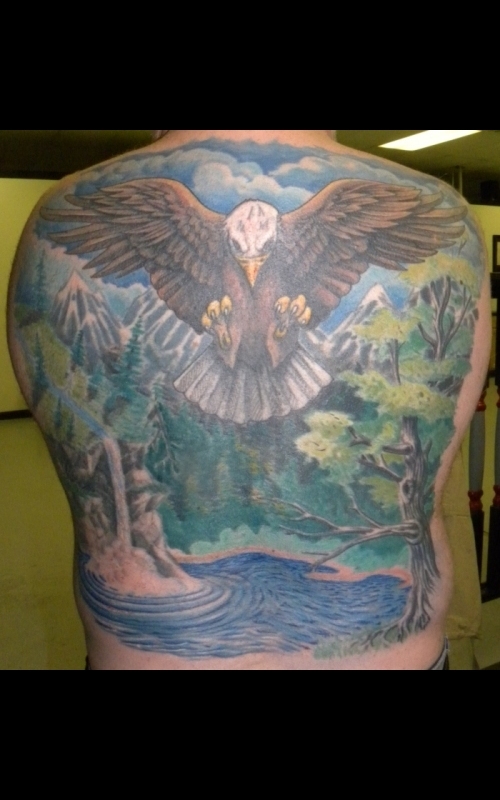 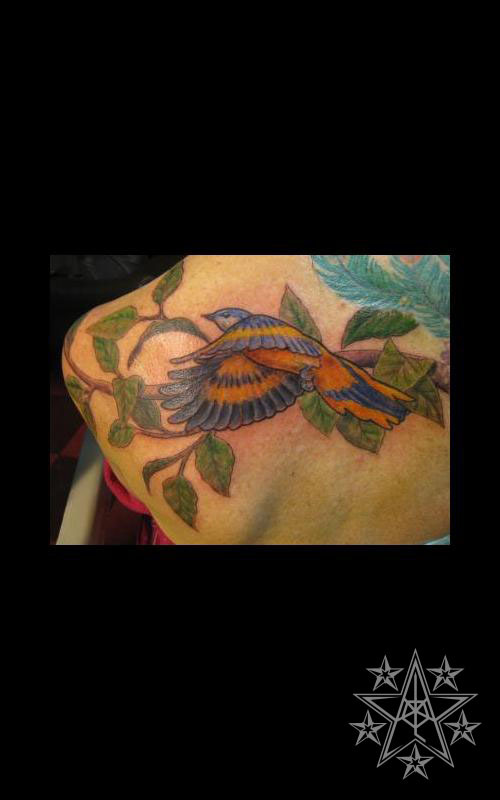 Bird tattoos by Ray Reasoner Jr.
Bird Tattoos: Birds almost always have an air of freedom about them. 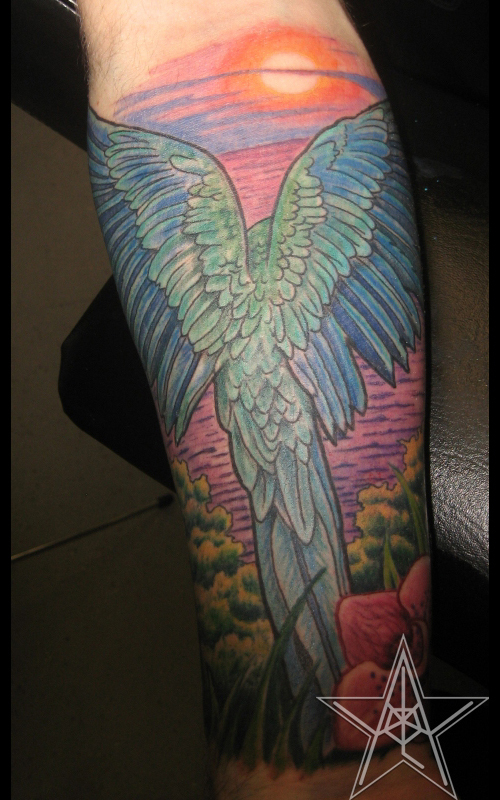 Their ability to fly makes us jealous in a way. 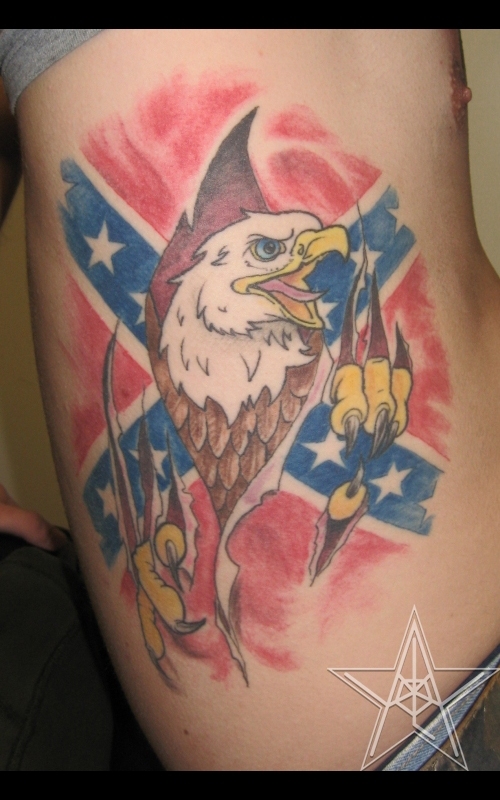 Sometimes this is accompanied by a feeling of power if they are predatory or beauty if they are appealing to the eye.